Ocean's 8 (film, 2018). A 2018 American heist comedy film with "PG-13" rating by Warner Bros. Pictures. Directed by Gary Ross. Official Trailer. Ocean's 8 is a 2018 American heist comedy film directed by Gary Ross. 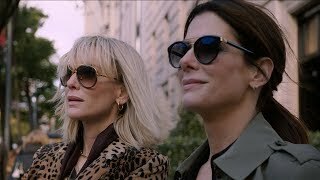 OCEAN'S 8 - Official Main Trailer. 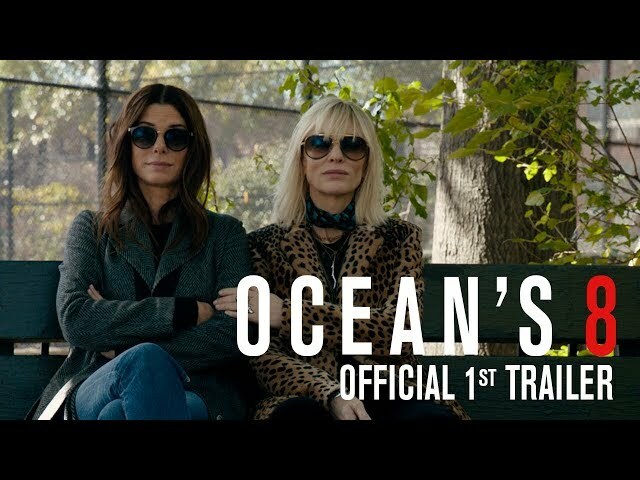 Following her release from prison, Debbie Ocean, younger sister of the "late" Danny Ocean, meets with her former partner-in-crime Lou to convince her to join a heist that she planned while serving her sentence. Debbie and Lou assemble the rest of their team: Rose Weil, a disgraced fashion designer who is deeply in debt with the IRS; Amita, a jewelry maker and friend of Debbie's who is eager to move out of her mother's house and start her own life; Nine Ball, a computer hacker; Constance, a street hustler and pickpocket; and Tammy, a profiteer and another friend of Debbie's who fences stolen goods out of her family's suburban home. Debbie plans to steal the Toussaint, a $150 million Cartier necklace, from the Met Gala in three-and-a-half weeks, and use Met Gala co-host Daphne Kluger, a famous actress known for her long neck, as an unwitting mule who will wear the necklace into the gala. The team manipulates Daphne into choosing Weil as her stylist, and Weil and Amita go to Cartier to convince them to let Daphne wear the Toussaint. They also surreptitiously digitally scan the necklace in order to manufacture a cubic zirconia duplicate. Debbie seeks out Claude Becker, an art dealer who ratted her out to the police when they were discovered for art fraud, which led to her arrest and imprisonment. Debbie manipulates Daphne to invite Becker as her date to the gala. Lou realizes that Debbie is out for revenge on Becker, but Debbie reassures her that everything will be fine. Weil discovers a flaw in the plan: The Toussaint can only be unclasped using a special magnet carried by the bodyguards hired by Cartier. Nine Ball enlists her younger sister, Veronica, to build a similar magnet in time for the gala. As the gala begins, Daphne consumes soup that Lou spiked, causing her to vomit in the restroom, where Constance takes the necklace. When the necklace is discovered to be missing, the museum is evacuated and searched; Tammy "finds" the duplicate necklace in order to end the search before Amita, who has retrieved the real necklace and is disassembling it, is discovered in the kitchen restroom. Amita retools the Toussaint into several pieces of jewelry, and gives them to Constance to slip to the members of the team. Debbie plants one of the parts of the necklace on Becker. Principal photography began on October 25, 2016, in New York City. The film Ocean's 8 was scheduled to be released by Warner Bros. Pictures on June 5, 2018 (Alice Tully Hall), on June 8, 2018 (United States), on June 13, 2018 (France), on June 18, 2018 (United Kingdom) and on June 21, 2018 (Germany, Denmark). The duration of the film is 110 minutes. With a budget of $70 million, the film grossed over $297.7 million. 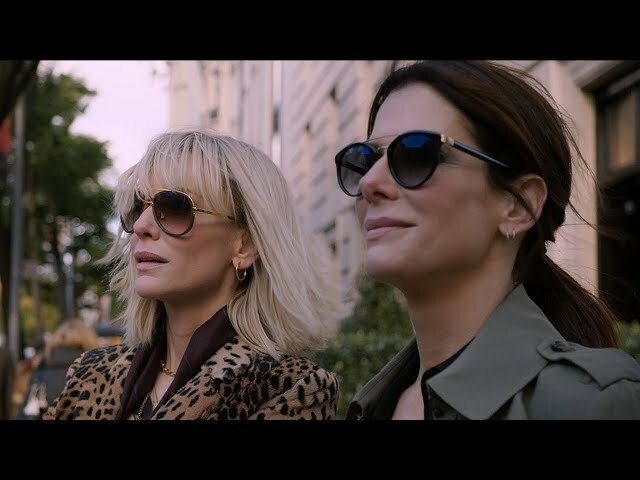 Ocean's 8 got high rating from critics. But the audience dislikes the film. Audiences polled by CinemaScore gave the film an average grade of "B+" on a scale ranging from A+ to F.